A document camera is an important tool that is utilized by many different industries. It can be used by businesses and schools alike. The purpose of this machine is to one physical document with a large group of people. The machine is connected to a projector. When the document is placed beneath the machine, the image is displayed on a wall or screen with the help of a projector. For all the features that are packed into this P2V document camera, its price can be quite surprising. However, if you are on a budget but still want one of the best products on the market, this is the document camera for you. There are several benefits to using the P2V document camera. First off, it has a 2-megapixel camera. This camera comes equipped with a macro mode. This means that you will be able to clearly view images that are as close as 2 inches away. There are two focus modes available with this model. This ensures that your images will always be crystal clear. Another exciting feature of this document camera is the snapshot capability. This permits you to take close-up pictures of objects and store them on your hard drive. You can also project video to a larger audience with the help of a computer or a projector. 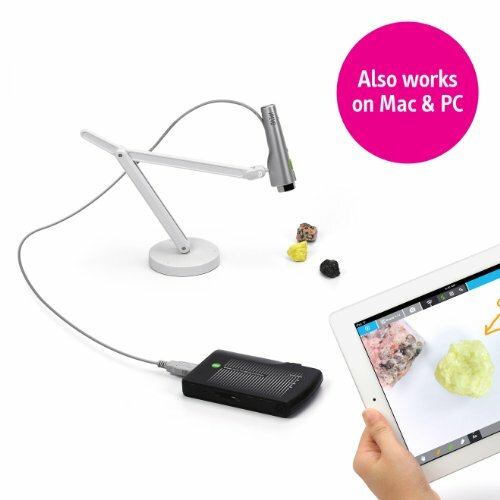 This document camera is compatible with PC, Mac, and Chromebook. 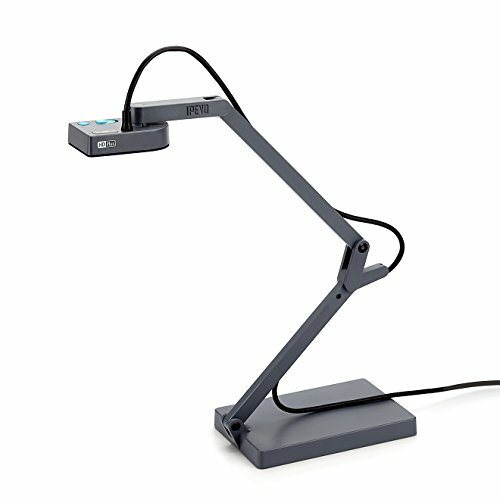 This is a document camera that is best suited to the classroom environment. It can actually be used by a child over the age of five, making it a valuable learning tool. 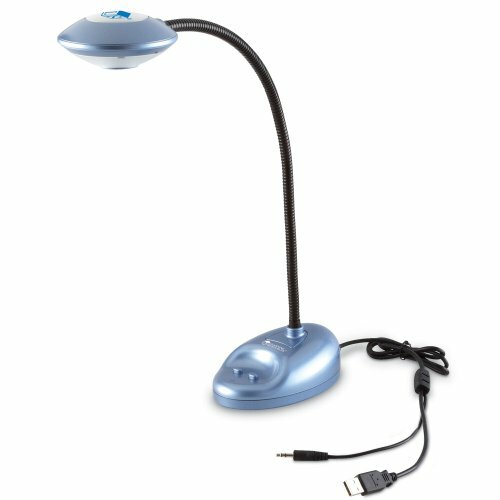 It can connect to a computer or an interactive whiteboard with the help of a USB. It can then be used for multimedia presentations as well as various other demonstrations. Another reason why this is the ideal tool for classrooms is because it can also act as a webcam and a video camera. It is capable of providing vibrant, 3-megapixel images, ensuring that students will always be able to clearly see what is being displayed. This is compounded by the presence of the auto focus feature.This makes sure that the image is always in focus, regardless of what is being shown. It can be set up and operated quite easily, making it a hassle-free document camera to have around. This piece of equipment is compatible with a variety of computers and therefore is quite versatile. If you want high definition images, then this is certainly the document camera for you. The Ziggi HD document camera boasts a 5-megapixel camera capable of capturing the most vivid and life-like images. As a result, you can choose from a variety of high-quality resolutions, all the way up to 2592 x 1944. There is also a zoom function of 6x on this document camera. This means that tiny pictures, text, and minute details are all clearly captured and displayed. You will certainly not have to worry about missing out on anything. There is also a built-in microphone. This allows you to use the document camera for video conferencing, demonstrations, and even podcasts. The stand is multi-jointed and well-built. It can be easily moved and maneuvered so that any object in any position will be able to be properly captured. The versatility, as well as the multitude of features, mean that this document camera can be used in almost any setting. If you are heading up a presentation or speaking in front of a large gathering, the last thing that you may want is more equipment to deal with. Having the VZ-1 means that you won’t need any more equipment or devices than absolutely necessary. This is because this document camera does not require a computer or a laptop. Instead, it can transmit the images directly to a projector so that it can be displayed on a larger surface. If you prefer, however, you can still use a PC or a Mac computer, thanks to the USB features that are available. This document camera is also incredibly compact, allowing it to take up as little space as possible. It is great for storing in small classrooms or conference rooms. There are several excellent features including the ability to auto focus and auto resolution, and toggle switch maximum exposure. It even has a built-in LED light which makes it perfect for when presenting in a dark room. This is the ideal document camera for people who want the latest in technology but don’t want to break the bank. 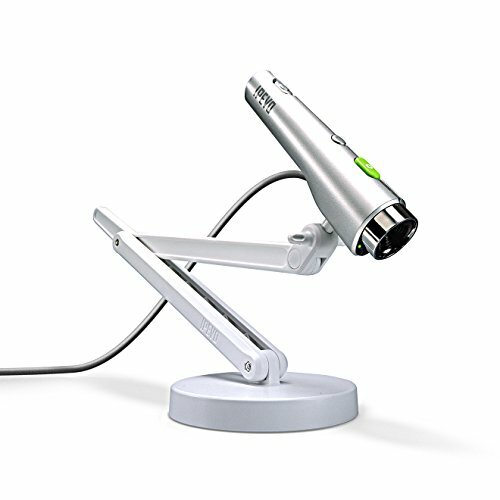 The iZiggi document camera takes into consideration the changing technological trends. This is why in addition to being able to connect to your PC or Mac computer, you can also connect to tablets as well as Apple TV. This is in addition to be able to display the image onto a larger screen via a projector. This document camera is equipped with a 5 megapixel camera, easy to use auto focus, and auto exposure. There are also plenty of customizable resolutions available. To top it all off, you can remain connected to the internet while you use this document camera. As this is a wireless camera, it is a lot more versatile and easy to use. It is also a great teaching device as you can easily project edited images onto the projector via your tablet or PC. All in all, it is a great investment. Conclusion:If you are in need of a document camera, you now know which ones are superior to the others on the market. This way, you will be able to get one that is well-suited to your needs and that you will be able to use for a long time.